Author(s) Hasegawa H.; Noronha C.
Asian Business & Management delivers an unparalleled understanding of the diverse and critically important Asian business world. Featuring an accessible two-part structure, the first section outlines the major contextual and theoretical issues of business and management. 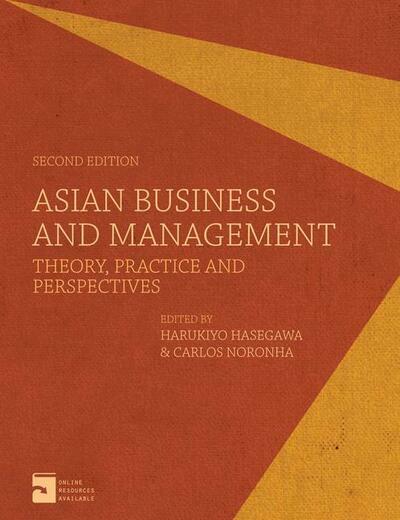 The second part offers a fresh, topical analysis of management in the major Asian nations. Throughout the book, you will benefit from the wisdom of leading international authorities and, unlike competing texts, a unique focus on corporate social responsibility in Asian countries. Key benefits: -Understand business theory and practice in an ethical context -Topical case studies demonstrate Asian management systems and allow you to assess the strategies adopted by corporations and governments -Written and edited by the leading authorities in the field -Dedicated companion website featuring PowerPoint slides, teaching notes and revision question answers Harukiyo Hasegawa is Honorary Fellow of White Rose East Asia Centre at the University of Sheffield, UK and Founding Editor of Asian Business & Management. Carlos Noronha is Associate Professor at the Faculty of Business Administration, University of Macau, China, Visiting Professor/Researcher at Doshisha Business School, Doshisha University, Kyoto, Japan and an Associate Editor of Asian Business & Management.